Sometimes it's not what you do, but where you do it. And with whom. 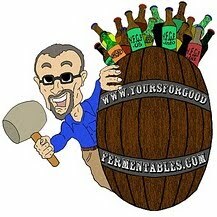 I was recently invited by wine education company Gira Mondo Wine to talk about beer to wine folk. Good beer fans can sometimes sneer at the what they perceive (incorrectly) as the superciliousness of wine. Wine fans can sometimes look down on beer as merely a wash. So this was an opportunity I leaped at. And, in fact, it was the first ever beer lecture offered by Gira Mondo Wine. The setting was the Whittemore House, off Dupont Circle in Washington, D.C. Built in the late 19th century in the Beaux Arts manner for a descendent of President John Adams, the building is now the home of the Woman's National Democratic Club. Over 40 wine fans braved the bitterly cold evening. 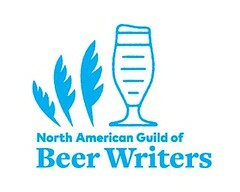 And judging by the comments afterward —even if I didn't convert all of the attendees— I at least opened the door a bit for many of them to the wonderful rooms of beer. It was sumptuous digs indeed.